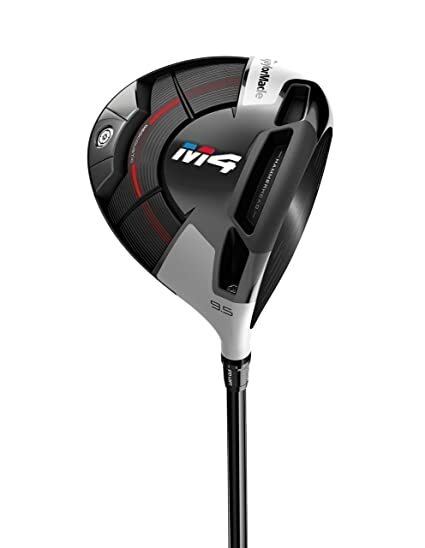 Overview The M4 driver features two new innovations and a favorite from the M2 to create a new generation of straight distance and ultimate forgiveness. Twist Face Technology introduces a new curvature that reduces side spin by altering the loft in areas of common mis-hits to help you find the fairway. The Hammerhead Slot is a redesigned sole slot, included for the first time in TaylorMade’s most adjustable driver. 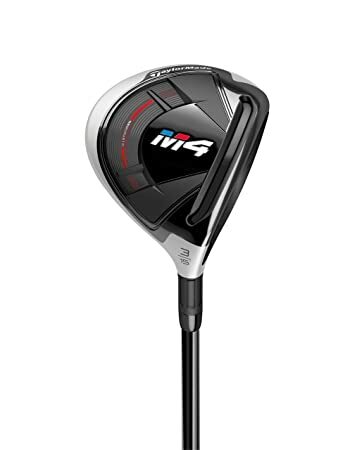 TaylorMade’s M4 driver is perfect for golfers looking to get more consistent performance off the tee with a blend of distance, forgiveness, and accuracy. Features Twist Face corrective face curvature reduces side spin in the common mis-hit locations to deliver straighter shots off the tee New Hammerhead Slot in the sole allows for a more flexible club face, creating a larger sweet spot Geocoustic technology creates a sole shape for solid, explosive sound and reduces volume to create a larger, more forgiving face 4A adjustable hosel to fine-tune loft and personalize launch Includes headcover Twist FaceThis revolutionary new face curvature increases loft in the high-toe area and decreases loft in the low-heel area to reduce side spin. By limiting spin in these common mis-hit zones, you hit the ball straighter more often.Hammerhead SlotThis new sole slot design features reinforced outer portions that allow for a lighter, more flexible face while the center portion increases speed on shots hit low on the face and lowers spin to increase distance.Geocoustic TechnologyThis unique sole design is shaped for the solid, explosive sound you want from your driver. It also reduces the volume of the sole, allowing for a larger, more forgiving club face.Adjustable Loft SleeveThe M4 driver is available in four lofts, each with 4A of adjustable loft and lie to further customize your performance. Overview The M4 fairway wood combines TaylorMade’s latest innovations to provide a powerful fairway club with ultimate forgiveness. Lighter carbon materials are used in the crown and sole to save weight that’s strategically repositioned to create a lower center of gravity. TaylorMade’s M4 fairway is a great fit for any golfer. The combination of distance, forgiveness, and easy playability make it ideal for all ability levels. Features Lightweight carbon crown and sole frees up weight that’s repositioned for a lower, more powerful center of gravity More advanced Speed Pocket offers more ball speed across the face for added distance and forgiveness Geocoustic Technology optimizes playability, sound, and feel in an easy-to-launch, larger footprint Split weight mass pads boost MOI with perimeter weighting for greater stability Ultra-strong steel face insert is thinner and faster to further optimize ball speed Fluted hosel improves sound and feel without shifting the center of gravity location Includes headcover Lighter MaterialsThe 5-layer carbon crown and sole saves eight grams of weight that has been moved to create a lower, more powerful center of gravity.Advanced Speed PocketTaylorMade’s signature Speed Pocket is engineered for faster ball speed all across the club face to give you more distance and forgiveness.Geocoustic TechnologyThis unique design increases playability by creating a large footprint in a low-profile shape for easy launch from all types of lies. The sole is shaped to improve sound and feel as well.Split Weight Mass PadsA pair of mass pads split weight toward the heel and toe of the club, increasing MOI with perimeter weighting for more stability and forgiveness. Overview The M4 rescue has a great look in an easy to launch, easy to play golf club. The shape of the club head and two-tone crown cosmetics aid in proper alignment and inspire confidence down by the ball. Two internal mass pads are split between the heel and toe of the club head to increase MOI and ball speed. The M4 rescue is great for all golfers. It’s easy to play and easy to launch for all types of shots on the golf course, making it your new go-to golf club. Features Longer Speed pocket increases flexibility and distance while preserving ball speed on shots hit low on the face Two internally split mass pads boost MOI and create more ball speed all across the club face Two-tone crown inspires confidence at address, providing a visual aid for proper alignment Low center of gravity for easy launch and versatility for all types of shots Includes headcover Speed PocketTaylorMade’s signature Speed Pocket has been lengthened in the M4 rescue to increase flexibility and distance all across the face. It also helps preserve that ball speed on shots hit low on the face for more consistent distance.Internally Split Mass PadsTwo mass pads inside the club are split to the heel and toe of the head to increase MOI and create more ball speed across the club face.Two-Tone CrownThe two-tone cosmetic look of the club head helps establish proper alignment and inspires confidence at address in a low-profile shape.